I have been using this mascara for a few months now and I must say I am really impressed with this product. 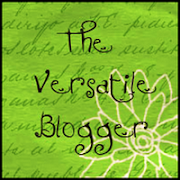 I have sensitive, allergy eyes and have to be very careful what I use. I have had no reactions at all and that is a wonderful thing when you suffer from itchy eyes. This is what the company has to say on their website. Ideal for sensitive eyes Eye of Horus Goddess Mascara strengthens and lengthens lashes. Designed to accentuate and enhance the natural beauty of your Lashes. That is a LOT of claims to live up too but I have to say that this mascara does exactly what they say it's going too. Luscious deep black mascara. Applies easily, separating each lash and lengthening, no clumping. I find that I only need apply one coat to achieve a perfect lash look. This mascara doesn't flake or leave you with panda eyes and looks just as good and fresh at the end of the day as when first applied. The brush is the perfect applicator as it allows you to get right to the roots of your lashes without smudging mascara over your lids or under eye area, you can also get right into the corner for those hard to reach little lashes. I really like the dark shade of this mascara, it is the blackest I have ever come across, I can get away without wearing eyeliner because it is just so black and really frames the colour of my eyes perfectly. The biggy for me is I don't get itchy red eyes and that is such a relief and comfort to know I won't have to remove my makeup when I am out and about. 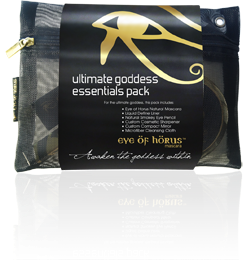 RRP $30 each or you can purchase an Ultimate Goddess Essentials pack which at time of writing this includes; Mascara, Eye Pencil, Liquid Define Liner, Compact Mirror, Cleansing Cloth and Sharpener, $120 value for only $79. The pack comes with a reusable makeup bag and this holds quite a lot of cosmetics, what I really like about the bag is you can see what's in it and it makes it really easy to find stuff. I highly recommend these products from a fabulous Australian company, their customer service is as wonderful as their cosmetics.